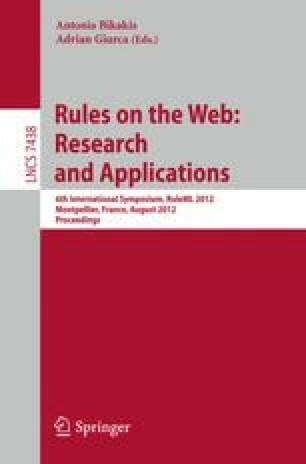 In this paper, the idea of providing personalized, location-based information services via rule-based policies is demonstrated. After a short introduction about related technologies and approaches, an innovative Personalized Location Information System (PLIS) is designed and implemented. PLIS delivers personalized and contextualized information to users according to rule-based policies. More specifically, many categories of points of interest (e.g. shops, restaurants) have rule-based policies to expose and deploy their marketing strategy on special offers, discounts, etc. PLIS evaluates these rules on-the-fly and delivers personalized information according to the user’s context and the corresponding rules fired within this context. After discussing the design and the implementation of PLIS, illustrative examples of PLIS functionality are presented. As a result, PLIS proves that combining contextual data and rules can lead to powerful personalized information services.